I don’t normally write about music or up and coming STARS, but I was watching the Ellen Show the other day (YES I heart Ellen), and she showed a preview of this girl called Amy and her boyfriend Nick. Her song caught Ellen DeGeneres attention, and what do you know… it also caught millions of viewers attention. Okay I can’t for a fact say millions of viewers but I know it caught my attention. Karmin which is what they call themselves is has follows: KAR-MIN (car-men) – noun, in Latin meaning ‘song’, with altered spelling to hint ‘karma’ – I would love to know how they came up with this name or where they found it (sounds very interesting). 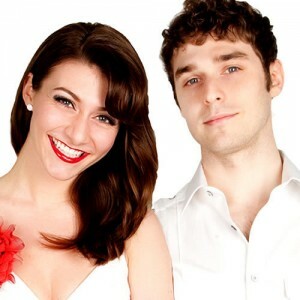 Nick and Amy met at Berklee College of Music in Boston (makes sense has to why they would go there), they wrote songs together for school projects and later took the name “Karmin” to put an identity to their distinct writing style. Nick and Amy aren’t just co-worker, collaborators, music geniuses, they are also dating and set to get married. (At least that was the buzz around the Ellen Show). If you want to learn more about Amy and Nick… or should I say KARMIN – You can read their Bio and you can also check out the clip from the Ellen Show. What do you think about this? Do you think Amy will get picked up on a record deal with Nick or by herself? Although I find Nick talented, lets be real here, Amy has most of the talent (sorry Nick – I loved you in the video’s and like I said you are very talented, but Amy is phenomenal). Love your work Amy and I hope to see more of it soon.